What could sound more familiar than a New York singer-songwriter? How about one based in the artistically associated borough of Brooklyn? It might sound like the one-liner of a million who have come before but, alas, an entire world will elude anyone who chooses to stop there and not see and hear what Jared Saltiel creates for others to experience. A New Yorker who unearthed a large part of his present artistry during time in Ann Arbor, MI at the University of Michigan, Jared Saltiel’s chosen pathway for composing music is anything but ubiquitous and cliché like “music that comes from Brooklyn.” Swapping out the town tagline for one that combines a conceptual artist with elegant fantasy-driven storytelling, such an introduction provides a mere flicker of the unique sparkle that is created by “The Fountain,” which is part of his forthcoming new album, Out of Clay (independent, 2018). This ain’t your roomie’s indie rock band. Give a listen to the audio below. The sophomore record in an eventual set of four, collectively titled, Caught Beneath the Wheel, Out of Clay continues where inaugural release, The Light Within (independent, 2013), left off: Crafting vivid tales that involve magic, the surreal, and a slew of settings depicting malleable surroundings. Listeners aren’t taken so far out of the realm of reality in “The Fountain” that things take on unstable feeling. Rather, what’s depicted sounds at once normal and like something in a midday reverie when one’s thoughts sway between concrete reality and thoughts filtered through the imagination. The story itself moves, even in these passing few verses, between what seems like the protagonist’s own break from conscious surroundings and things less instantly believable when a trio of women who are somehow one being – clearly supernatural, spiritual, or mythological in nature – reveal a vision of the protagonist’s future lover in a watery reflection. The entire experience unfolds like a fairy tale or fable of old folkloric proportions. Still, just words telling a curiously endearing story does not a seriously uncommon song make. 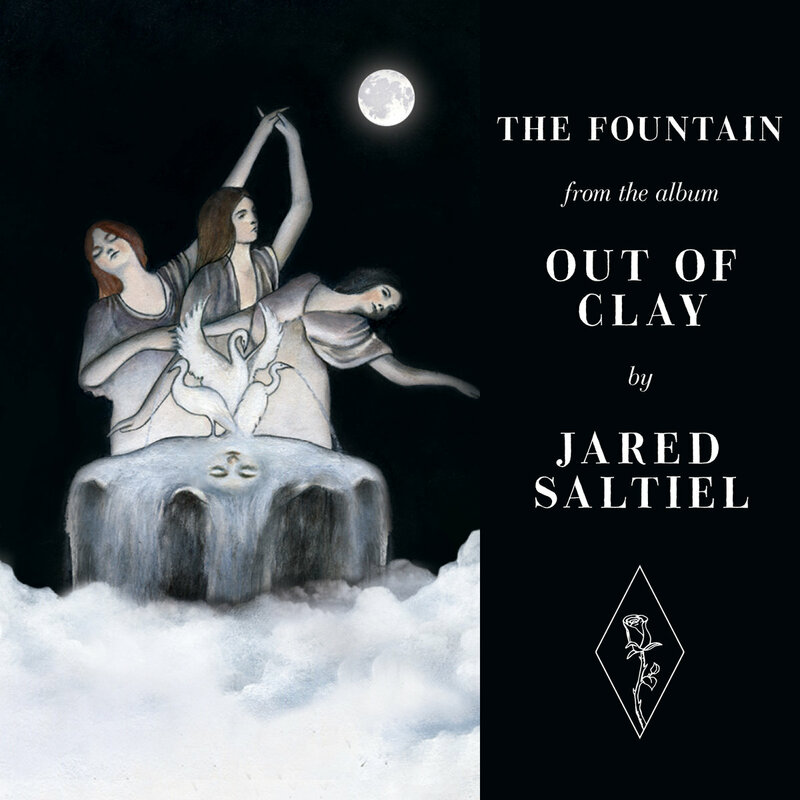 Turn attention to the instrumental aspect of “The Fountain” (and subsequently Saltiel’s primary style of composing,) and the core style of the song really diverges from typical. Having spent a lot of time and energy devoted to the liberal stylization of jazz, as well as the art of arranging and orchestrating for theater, Saltiel embraces the ideas of both and what “The Fountain” gives as a result, is a work that places instruments of formal orchestration (flute, chamber strings, oboe, horn, and harp) at the forefront, with conventional tools of rock and pop, like bass guitar, serving as sonic body and rhythmic support over performative highlight. The innocent quality of Saltiel’s rhyme scheme, combined with the linear storytelling and lighter orchestral, string-powered melodies, calls to mind the fantastical and child-oriented character of singer-songwriter Rushan Eggleston and his Wild Band of Snee, However, unlike the exceedingly self-conceived vernacular of Snee’s world’s and the “mystical, whimsical” things therein (e.g. Flezzerbox, Gzarpway, Town of Blark), “The Fountain” feels a bit more cohesive – both melodically and conceptually. It’s from this realization that a collage of other pseudo-experimental artists and-or projects seem to encapsulate the singular, hybrid space Saltiel has carved for himself – especially considering Saltiel’s experiences with theatrical composition and the fact that he co-wrote a comedic musical titled, South by South Death, which was performed at rising avant-garde NYC performance venue, National Sawdust. In this regard, it’s very easy to envision a playlist that places “The Fountain” (and likely the rest of Out of Clay,) alongside not just a few of Eggleston’s cuts but also the likes of Duncan Sheik’s mildly odd and musical-minded Whisper House (RCA Victor, 2009). There’s a similar lean toward orchestral melodies and a more traceable narrative like Saltiel’s story. Yet even still, there’s a sense that “The Fountain” boasts some ribbons of added sonic delicacy thanks to the smooth and gentle timbre of not just Saltiel’s higher register vocals but those belonging to his female co-singers, Kate Steinberg, Katie Rose Summerfield, and Dawn Cantwell (Wicked, The Last Ship). It’s from these choral-like deliveries than the thought of music by classical vocal ensemble, Roomful of Teeth comes through like a missing companion needed to play a game. Now, despite finding a collage of aspects worth aligning, that’s really all that it can be: a collage. “The Fountain” reflects a love of compositional styles Saltiel shares with other unconventional composers but beyond that mutual passion for the unusual, this track is something all its own. If not initially the story within “The Fountain,” the sheer amount of creativity and collaboration that went into the track and of course, the rest of the album, is more than enough to pique the interest of people across the spectrum of musical participation and stylistic preference: Composers, singers, instrumentalists, arrangers, engineers, band and choral directors, and heck, even playwrights and visual artists. This is just one song but it’s one song that is setting listeners up for a vast journey; one that is sure to intrigue from all sides, get people hooked, and anticipating the arrival of the next installment of Saltiel’s songwriting saga. Out of Clay is due on 2 February 2018. Pre-orders are available now through Bandcamp. 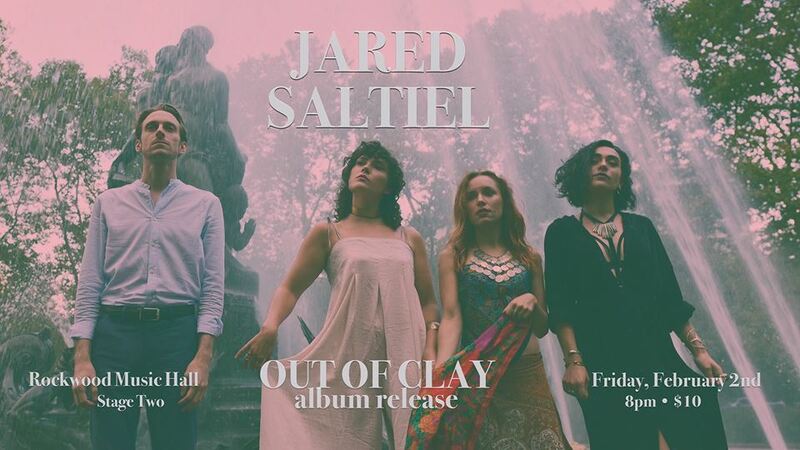 See Jared Saltiel live at Rockwood Music Hall in one week to celebrate the album’s release.